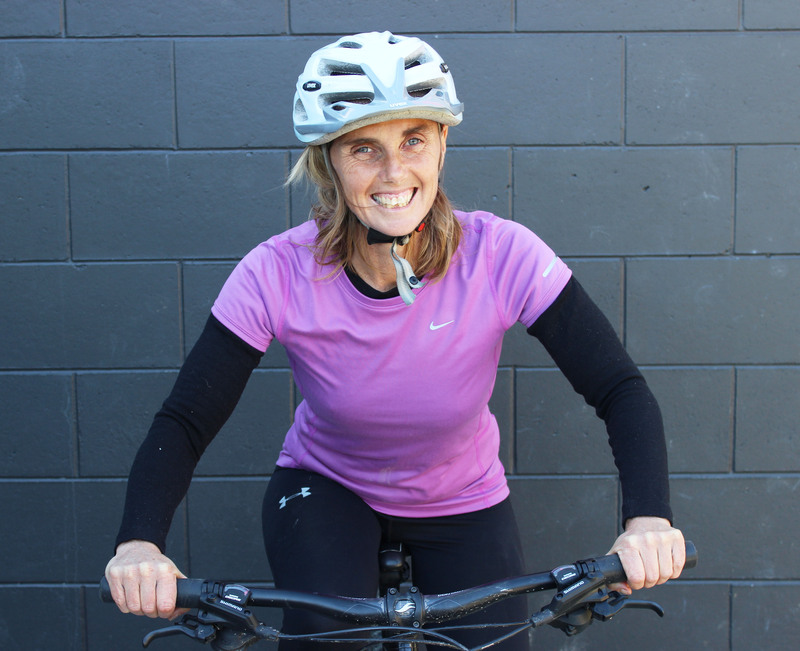 Chi Riding – a goRide SERIES to improve your riding by developing or enhancing an understanding of your position on your bike. CHI RIDING. Have you heard of Chi Running? It is a running technique that emanates from the principles of pilates, yoga, and tai chi. We are going to piggyback on that concept and introduce you to Chi Riding – a type of riding that emanates from some of those same principles of being relaxed, having less tension and stress when you ride, efficiency, ease, engaging your core (giving you control from your mid region) and all your senses. All things that will make time on your bike more enjoyable, easier, will give you less discomfort and will have positive effects and influences on other aspects of your life. Chi Riding forms the platform to allow you to improve your riding and challenge yourself whether you are a beginner or an experienced rider. The first part to Chi Riding is having a good riding position. Lets have a look at how you achieve this position. Having the correct body position on your bike set up. YOU the rider are the focus of Chi Riding so this story explores how YOU can work towards achieving what we call the ‘A’ Riding position. When you ride you are in contact with your bike at 3 points; bottom on the seat, hands on the handle bars and feet on the pedals or during some riding skills at 2 points hands on the handlebars and feet on the pedals (your bottom is off the seat). The parts of your body that make up the ‘A’ (the yellow lines in the photo) are your back (1 side of the A), your shoulders (the top of the A) and your arms (the other side of the A). The red lines are the connection the relationship between the 2 sides of the A. Step One to a good riding position is acheiving the position. your back – you want your upper and lower back straight like the side of an A.
the arms – relaxed, soft elbows in a slight C shape. the red lines – think of the sternum or breast bone and the lower back as the horizontal line in the A that connects with both sides. Think of the breast bone and lower back moving slightly towards the arms (the opposite side of the “A”). Now your ‘A” may look slightly different than that shown in the photo because your bike set up will differ. 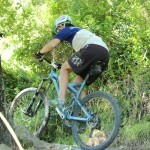 For example, you may ride in a more upright position however the principles do not change. 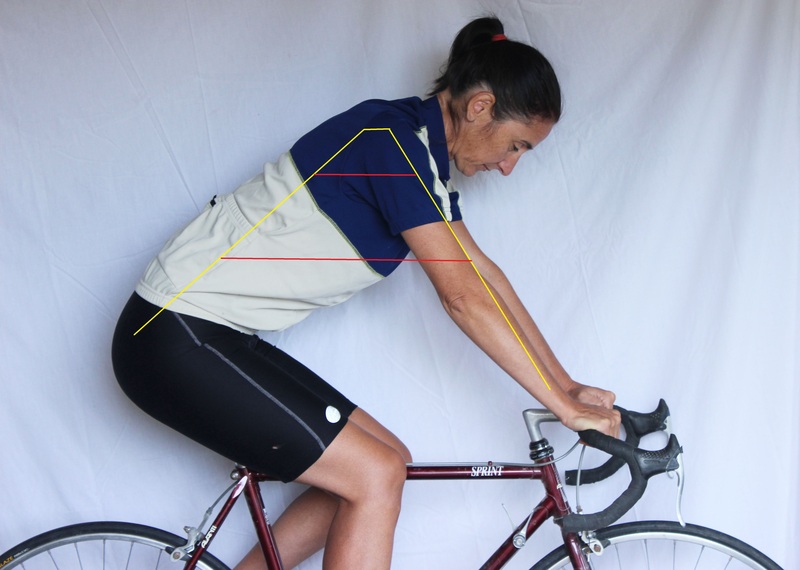 YOU need to work at achieving the ‘A’ position on your bike set up. The following is an example of a common incorrect riding position. The position you are trying to avoid. Both the upper and lower back is rounded. The shoulders are elevated and too close to your ears. Step Two to a good riding position is being aware. When you are out riding I want you to be aware of those contact points, the seat, the pedals, the handlebars and think about your position on and between them. Think about acheiving the ‘A” riding position in both 3 points of contact and 2 points of contact. Improving your riding position takes patience, time and practice. goRide will have more stories in the Chi Riding series to help you improve your riding. Well done you have taken a positive step by reading this story. Now goRide and you will be amazed by just being aware what you will notice and the small changes you will start to make. 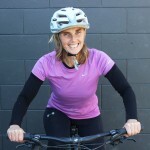 Why are Womens Bike Gloves Important?